Any crack in a structure should be quickly repaired with a high-quality product, but repairing actively leaking cracks is a task as important as it is difficult. Quick Foam Broad Urethane is a hydrophobic polyurethane liquid designed to stop water infiltration or ex-filtration. Urethane Quick Foam has a 100 cps. The product is contained in a dual cartridge. One side is left empty, then filled with water. When the two sides mix, the product reacts within 30 seconds. The result is a closed cell-barrier that prevents water infiltration. 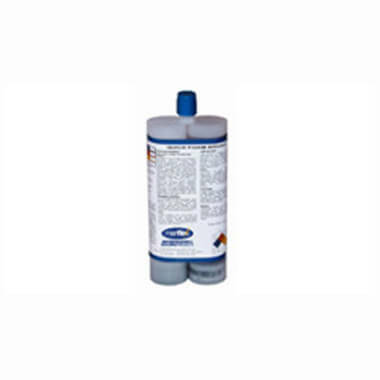 Urethane Quick Foam Broad is best suited for actively leaking cracks that are 1/8″ or wider.